University of Regina professor Dr. Alec Couros is about to address an unusually huge class. More than 8,800 elementary and high school students from across Saskatchewan will connect with Couros on Tuesday, November 17 in a live, interactive broadcast. The presentation is part of the “2015 Student First Anti-Bullying Forum,” held in conjunction with Bullying Awareness Week in Canada. Couros is regularly asked to speak to students about these topics, usually in classrooms, school gyms, or auditoriums. The format for this anti-bullying forum offers an opportunity to reach out to far more students at once. 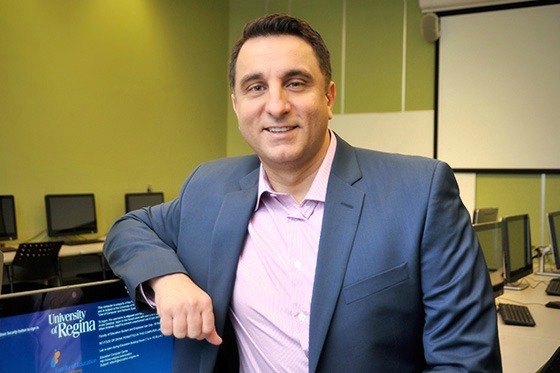 “I’m thrilled to be a part of the forum, and this format provides a unique opportunity for conversation and interaction with students from across the province,” says Couros, who is an Associate Professor of Educational Technology & Media in the Faculty of Education. 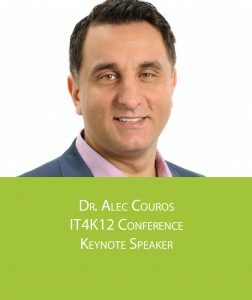 Couros will talk to students about both the difficulties and opportunities offered by our increasingly digital world, as well as how young people can develop a positive digital identity and contribute to society in constructive and transformative ways. “Our students are constantly participating and interacting in online spaces, and this can lead to complexities around issues of digital citizenship and digital identity, including cyberbullying. Katia Hildebrandt is a Ph.D. candidate and sessional instructor. Couros has built a strong reputation, both in the classroom and on social media. He has more than 95,000 followers on Twitter, and he’s considered one of the pioneers of ‘massive open online courses’ or MOOCS, which can make education more accessible and allow for the global exchange of ideas.“We are no longer learning in isolation. The classroom walls have come down, and we need to give students the tools to take advantage of the incredible opportunities available to them in our connected world,” says Couros, whose presentation at the forum will include plenty of opportunities for students to interact and discuss ways to shape their world.The forum will be moderated by Katia Hildebrandt, a Ph.D. candidate and sessional instructor in the Faculty of Education. She played a vital role in the previous two events, which were held face-to-face.“There was certainly something powerful about bringing students together and giving them the space to connect and collaborate with each other in that setting,” says Hildebrandt, who helped write the teacher facilitation guide for the sessions this week.“But the online format allows for dramatically increased access and provides authentic opportunities for students to engage with these important issues using tools and modalities that are the same or similar to those they already use in their daily lives.”The forum is hosted by the Saskatchewan Ministry of Education in partnership with ‘I am Stronger,’ an initiative from SaskTel to combat bullying in schools.Additional support was provided by the Canadian Red Cross and KidSport. The Faculty of Education at the University of Regina has a fine reputation for strong undergraduate teacher education programs, graduate programs, and adult education. 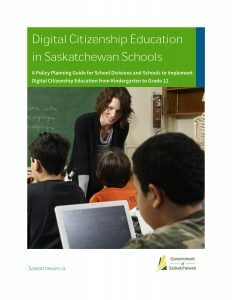 Couros and Hildebrandt recently co-authored the Digital Citizenship Education in Saskatchewan Schools: A Policy Planning Guide for School Divisions and Schools to Implement Digital Citizenship Education From Kindergarten to Grade 12 for the Saskatchewan Ministry of Education. Retrieve from here. It’s no longer enough for faculties of education to deliver static, technical courses on the methods of teaching. Recently, preservice teachers in two of our classes at the Faculty of Education, University Regina, participated in #saskedchat, a weekly Twitter chat hosted by and for Saskatchewan educators. Although the chat typically runs on Thursday nights, organizers scheduled a “special edition” of the chat on the topic of supporting new teachers. Almost instantly, our students were immersed in a global discussion about education – and what’s more, they were instantly connected to a large network of practicing teachers who were able to provide them with advice and tips for success. But while the Twitter chat was an enriching experience for our students, participation in events like these is only a small piece of the puzzle when it comes to preparing new teachers to learn and flourish in a digital world. As the field of education changes rapidly, it’s no longer enough for faculties of education to deliver static, technical courses on the methods of teaching. Instead, we need to help pre-service teachers develop the skills and understandings that will allow them to navigate and succeed in today’s global classrooms. And perhaps even more importantly, we need to help future teachers build the personal learning networks that will provide both the support system and continuous professional development opportunities needed to become and remain successful educators. Dr. Alec Couros, an associate professor of Education Technology and Media in the Faculty of Education, describes himself as an “open educator” taking teacher education online and making it available around the world. Couros is a pioneer of the open education movement, and his online courses are considered the precursors of today’s Massive Open Online Courses (MOOC). These courses, offered online and freely available to anyone, have revolutionized distance learning, allowing for unlimited numbers of course participants – sometimes numbering in the thousands – and increased interaction between students and instructors. Couros piloted the idea of an open course in 2007, in his Social Media and Open Education class. Since the first experiment in 2007, the popularity of MOOCs has exploded; they are now offered at prestigious universities including Stanford, MIT, and Princeton. Couros is well-respected both on and offline, with more than 72,000 followers on Twitter, and he presents at dozens of conferences annually around the world, speaking about the importance of online tools in our education system. Thanks Laura for your leadership with the @ureginaess and the whole executive for all you've done to bring the students together and bring professional development opportunities to students this year. All the best to next year's executive as you focus on making connections.